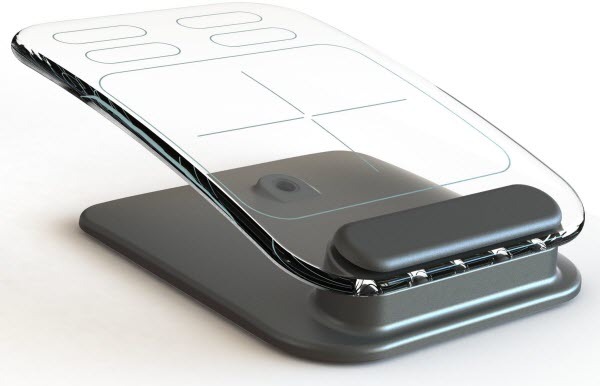 Having a glass keyboard and mouse on your table may not be very far away now in the future now – especially if this Kickstarter project from Giddings Product Development gets the required funding. This computer peripheral is being made from tempered glass of high quality, rechargeable Lithium Polymer batteries with a metal base and is completely wireless. The tactile sounds and lighting can also be turned on or off as per user preference. The Software drivers are open source. 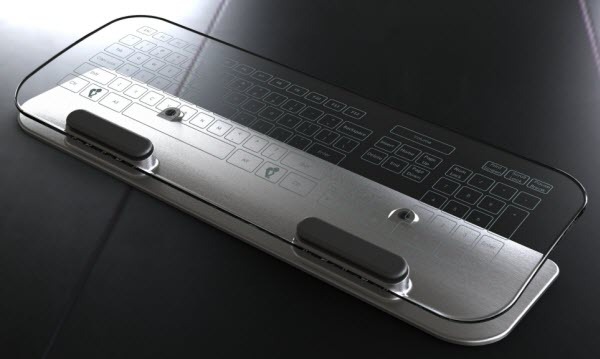 The design of this Glass Multi-Touch keyboard and mouse is based on a touch screen technology known as FTIR or Frustrated Total Internal Reflection. Basically infrared LEDs are placed at the edge of the glass. In this case, they are hidden inside holes where the glass is mounted to the metal base. Because of the low angle at which the light impacts the internal glass surface, it is bounced around inside the glass, much like looking through a tube to see the reflections on the inside walls. When the glass is touched it frustrates the reflection and the IR light is diffused downward, out of the glass, allowing the camera to see it. Software then determines the location and sends the appropriate information to your computer. These don’t come cheap, by the way! The mouse is expected to start at $150, while the keyboard at $250. Buy both and you could get them for $350. Check out the video on KickStarter.com. We ony hope that the project will see the light of the day, and wish the developers our best! A keyboard with little feedback, no sense of key travel, no real feeling of typing, and a high likelihood of pressing keys accidentally when resting your fingers. It takes everything that is bad about Tablet keyboards and puts it on your desktop. Major fail. Fashion statement? Yes. Useful tool? No. Considering that most people will accept junk bottom-dollar keyboards rather than lay out a modest sum for decent hardware, this will be nothing more than a high priced boutique item, not the “next generation” of peripherals. Given its looks and ergonomic impracticality I would suggest names beginning with “i” and removing the Windows(tm) key. You get my drift….